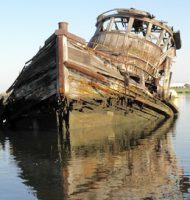 You are currently browsing the daily archive for September 30, 2009. Urger proves that age poses no impediment to winning beauty contests. Of course, Urger also demonstrates that money–in this case, government money–helps one compete successfully in such contests. I’m not talking bribes . 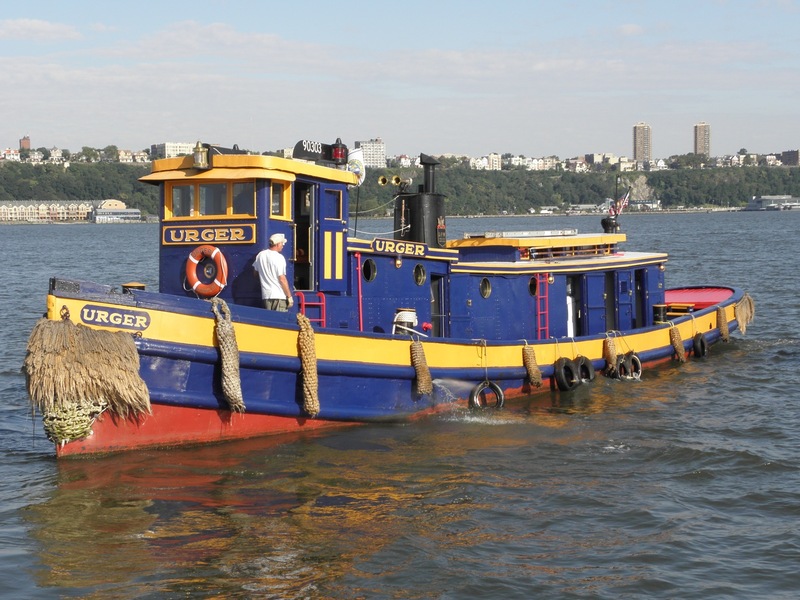 . . but facelifts, but this former fish tug still turns heads wherever she goes. 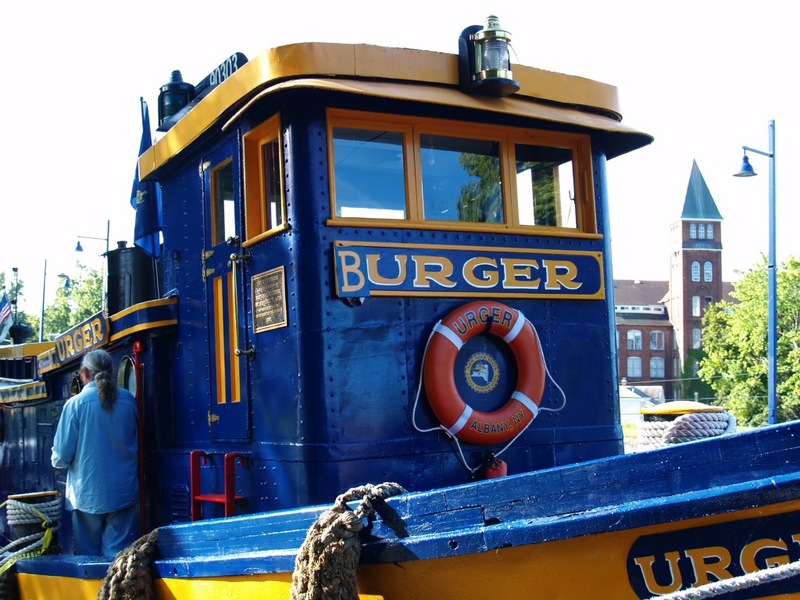 Urger grabs my attention for several reasons, not the least of which is my connection with the area of Michigan where she was built; she was operated by Dutch immigrant fisherman near Holland, Michigan, near where I spent four formative years of my life . . . in college. If I could hear the men in this foto speak, no doubt their accents and laughter would be ones I know well, like those of the barge sailors gracing the Hudson in September 2009. 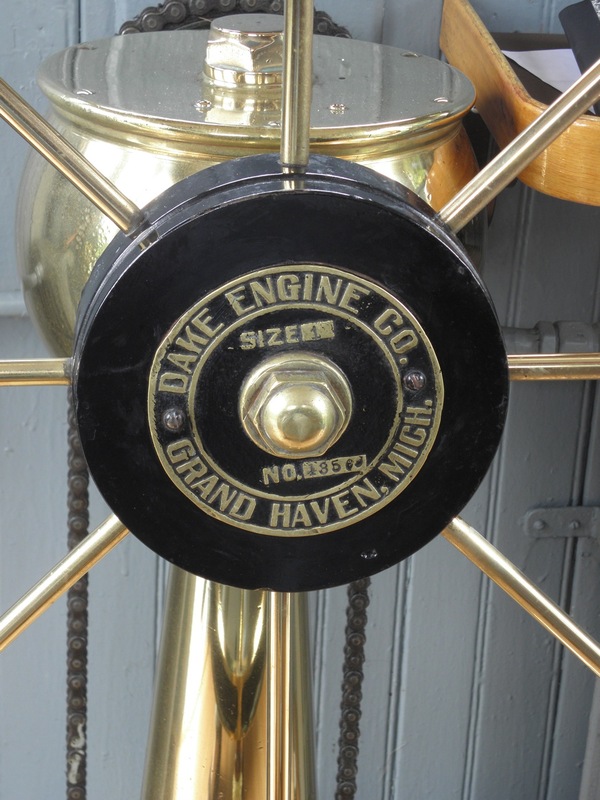 Grand Haven . . . it’s a lake town I associate with camping in the dunes and wooing the major infatuation of my late teenage years; more recently, a professor/advisor of significant import to me makes her home there. 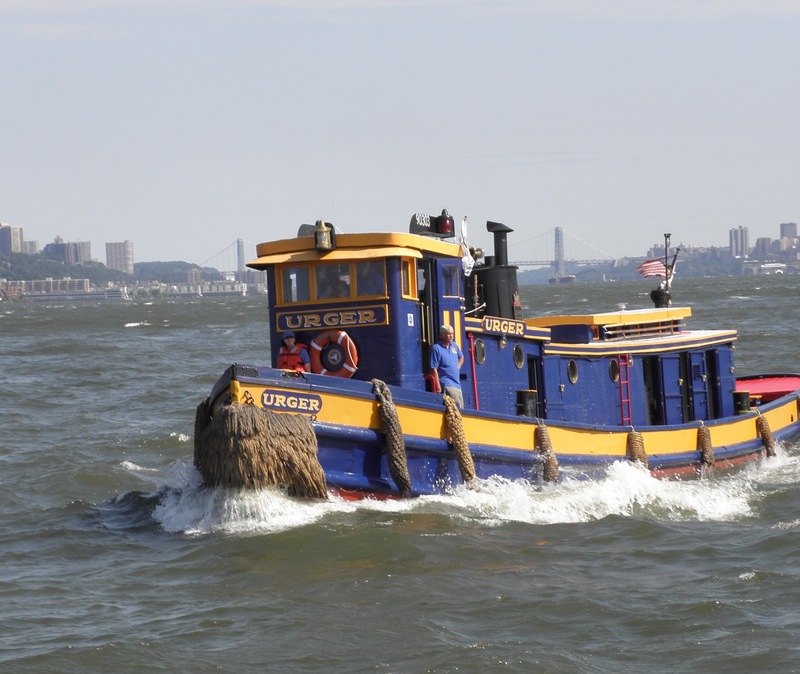 Urger operated out of there in her fishing life. 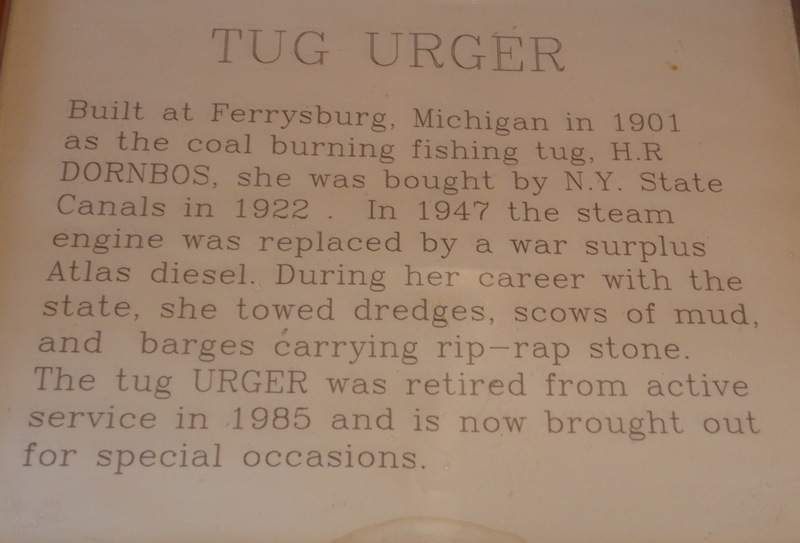 After 108 years, Urger looks like she still loves the chop of Lake Michigan wherever she gets it, and on her homewaters . . . the Erie Canal . . . she does not get much. 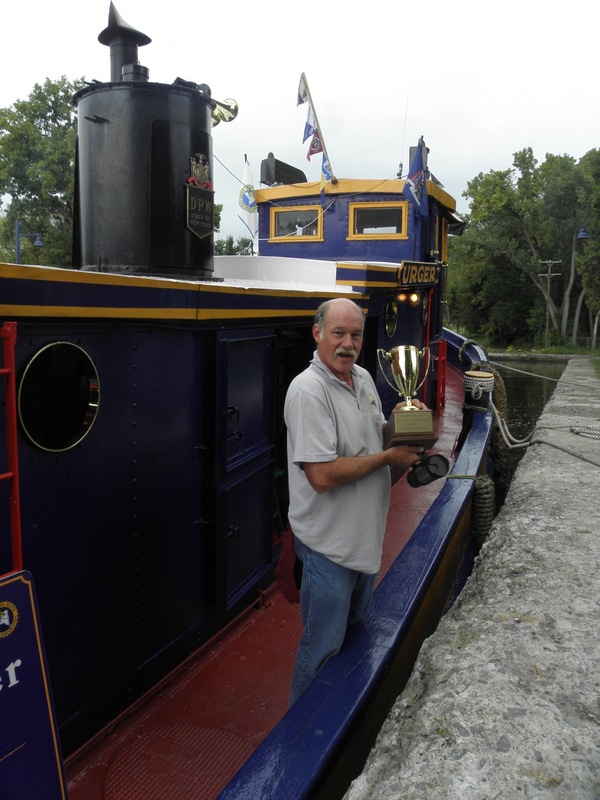 At the Waterford Roundup, deckhand Rick shows off the trophy Urger won as first place Class C back on Labor Day. 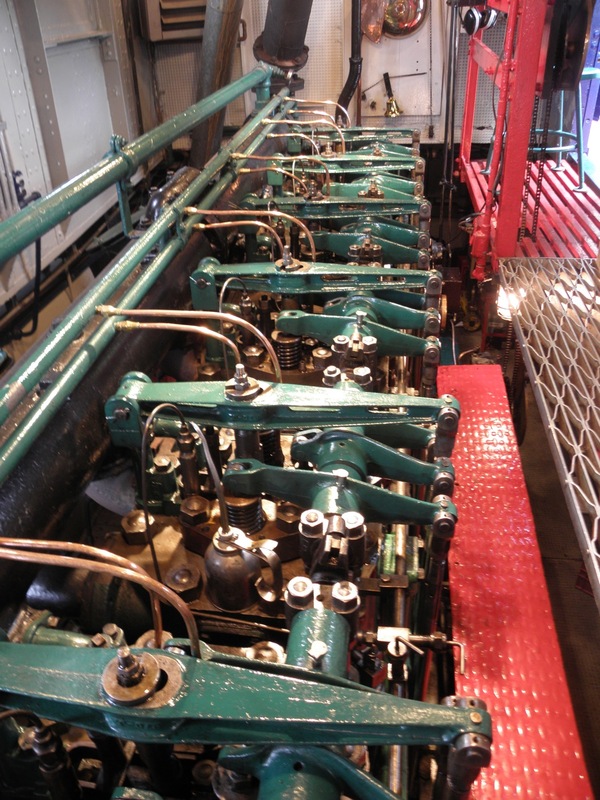 This is the top of the 320 hp Atlas Imperial engine that powered the long, narrow hull to that win, almost 20 tons of engine. 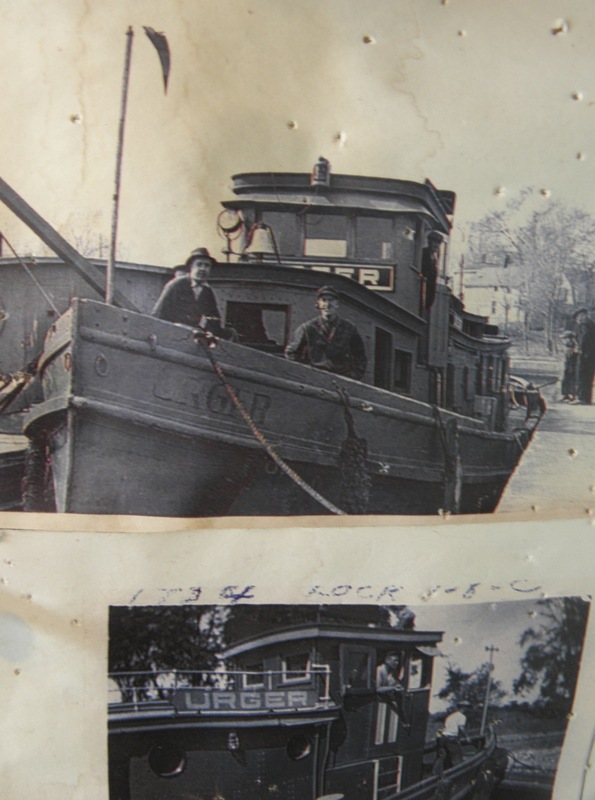 Notice the engineer’s station upper right side of foto. 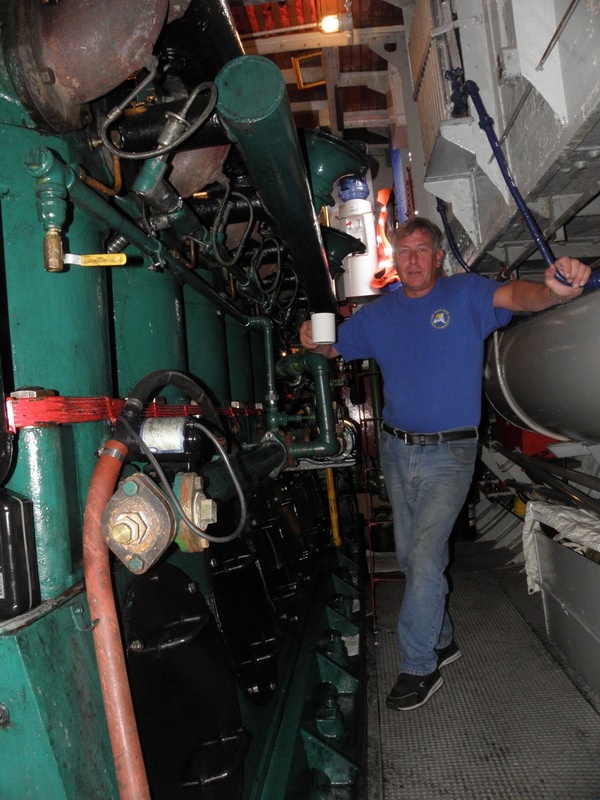 Check here for basic info on Atlas Imperials; click here for a map of known remaining AI engines. Engineer Chris is palpably proud to have charge of Urger‘s Atlas Imperial, telling a story of how the secret ingredient is the same caffeine he uses as propellant. Did he tell me that or not? What a humbling name, Atlas Imperial! 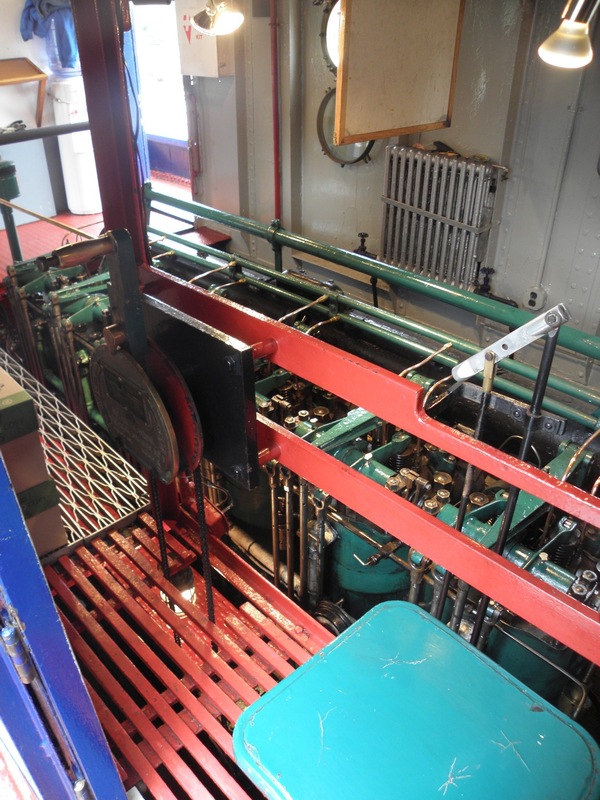 Here’s the same engine as seen from the front starboard side, location of the engineer’s station. 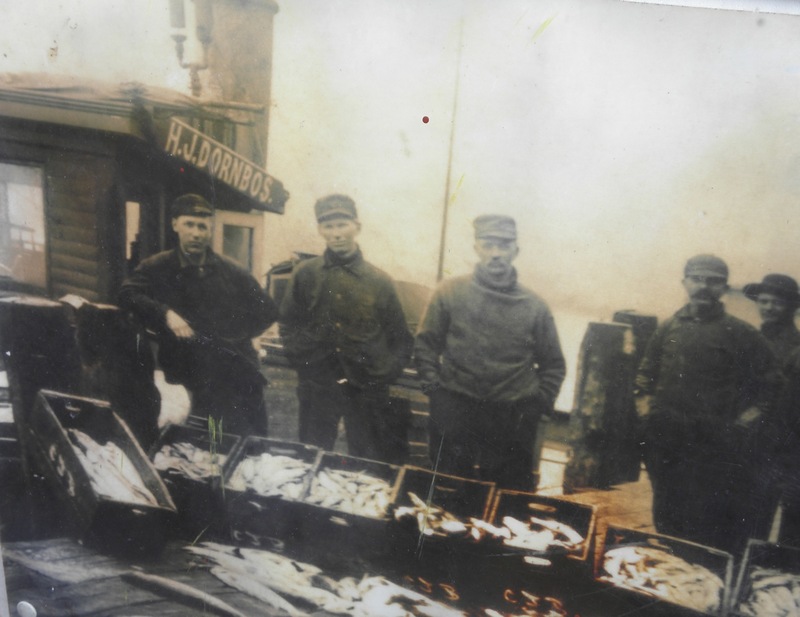 The boy standing on the bulkhead on extreme right side of this foto could be 80 years old by now; long may Urger run! Here’s some Lake Champlain video . . . not mine. Otherwise, all fotos by Will Van Dorp.